Among the many birds we are offering this year, we are pleased to announce unrelated European lines of Light Sussex. 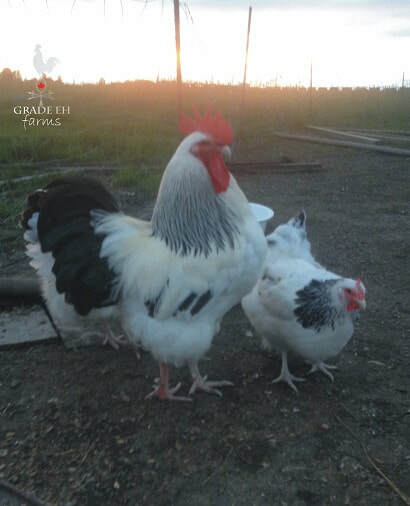 These are a combination of the progeny of champion birds. They are very suitable as a dual purpose breed. Some show birds have lost the ability to lay consistently and often as well as the ability for robust growth. 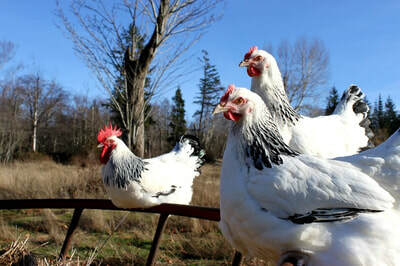 This is what can happen if you are not careful in your pursuit for the perfect standard bred chicken. 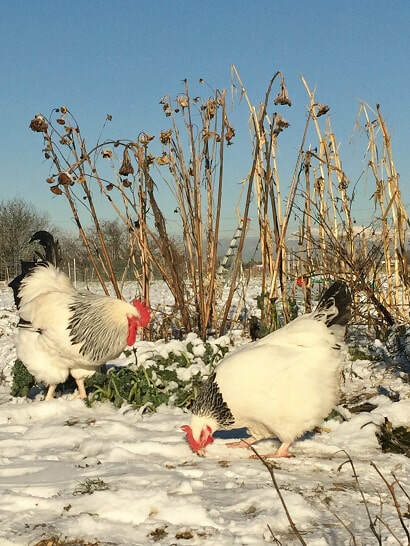 We originally imported Sussex in 2013 to provide both robust and healthy chicks for your table needs. In 2017, we furthered our genetics of Canadian Light Sussex. 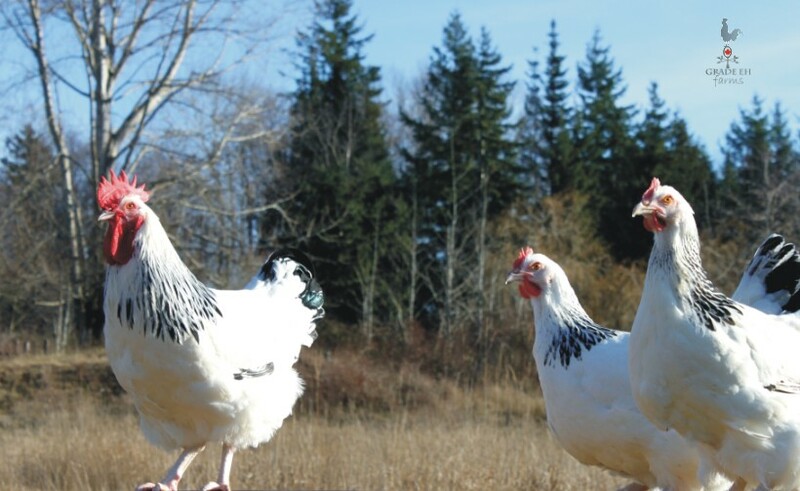 Light Sussex is a beautiful addition to any backyard flock and we hope to work with many Canadian farms to build upon these birds. 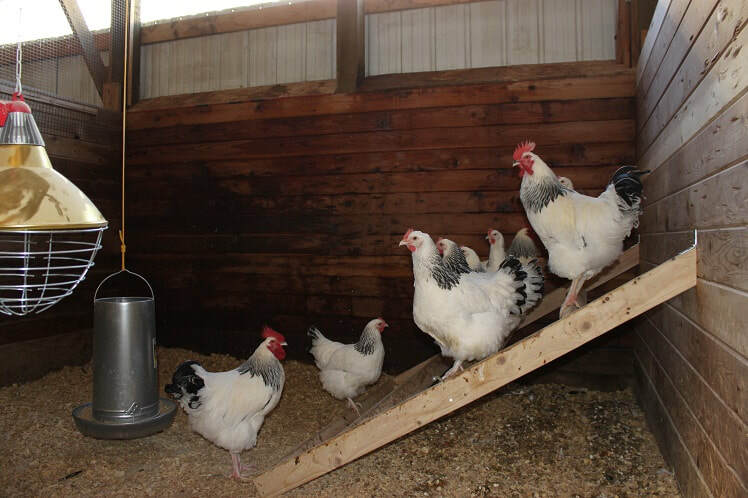 We find the hens to be good mothers who will go broody and the males are perfect gentlemen. The typical lay time is 18 weeks and you can expect over 200 cream coloured eggs per year without supplemental lighting. I have been breeding my lines of Sussex for over 5 years now and I am very happy with the final results. A definite must have and a rarity to see a bird with this stature unless you grew up in the early 1900’s. Several people have thanked us for the emotions that come with our Light Sussex and that it returns them to a better place in time reminiscing of their youth. A chicken is not always just a chicken…..